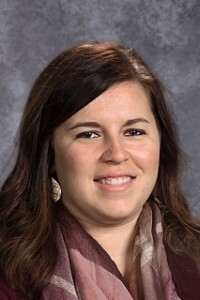 My name is Dinah Rice, and this is my first year as the K-6 School Counselor at Edgerton Elementary! I grew up in Archbold, OH and still live there now. I graduated in 2016 from Grand Valley State University with my Bachelors in Psychology, and just graduated in 2018 from Bowling Green State University with my Masters of Education in School Counseling. As the school counselor, my goal is to help create a positive and supportive school environment so, with the collaboration of school staff, parents, and the community as a whole, students are prepared with the academic, social-emotional, and college and career readiness skills necessary for success in our modern world. In collaboration with parents, teachers, and administrators, I strive to give all students the academic, social-emotional, and college/career readiness skills necessary to be successful members of society.